Israel ranks high on the list of destination choices for Filipinos seeking job opportunities overseas. A large fraction of workers in their caregiving field come from the Philippines. There has been a lot of cooperation between the government and the Filipino community in Israel. Overseas Filipino Workers (OFW) are one of the biggest groups protected in the country. Israel has an excellent legal system in place to ensure that OFWs do not experience abuse and harsh conditions in the workplace. Furthermore, Filipinos in Israel enjoy higher wages, the minimum being $1,000 a month. Last year, in a meeting between then-Deputy Prime Minister Silvan Shalom and Philippine Ambassador to Israel Nathaniel Imperial, Shalom noted the sliding number of Filipino workers in Israel. About 20,000 Filipino caregivers enjoyed excellent working conditions at that time – perhaps one of the best in the Middle East. He mentioned that one possible reason for the decline is the high mediation fee charged by recruitment agencies. The officials agreed that the best way to resolve the issue would be through the creation of a Bilateral Labor Agreement (BLA). Both Israel and the Philippines have pushed for the approval of the BLA so they could have it signed at the earliest possible time. Israel’s implementation of BLAs with the Philippines and other countries has led to ease of travel of OFWs in an authorized manner. OFWs may enter Israel without a “go-between,” which lowers the mediation fees charged by private recruitment companies. Moreover, having the agreements in place has helped organize the recruitment of OFWs and prevented cases of human trafficking. BLAs have helped secure the rights of OFWs in Israel by limiting human rights violations. 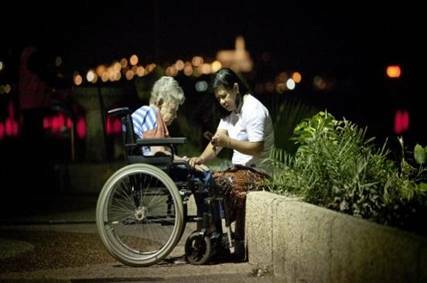 Since OFWs are part of a legally protected category, Israel’s BLAs are a way to boost the competitiveness of Filipino caregivers (or those working in other industries) and safeguard the interests of Filipino nationals abroad. The addition of foreign labor in the Israeli workforce creates a balance in terms of the state’s labor needs. The BLA contributes to cultivating a sense of identity and belongingness among foreign workers through the protection of their rights.